Society’s challenges and our complex, interconnected communities demand new models of interprofessional collaboration and institutional teamwork. With more health sciences colleges on one campus than any other university, Ohio State is uniquely able to keep our communities and our world healthier, happier, and more productive. 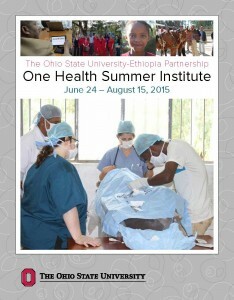 Our work in Ethiopia (pictured above) is an example of what Ohio State can accomplish due to our size and breadth of expertise. Our strong partners amplify the impact of this work.